Liking Trucks and Other Questions | When Do They Serve The Wine? This is one of my favorite cartoons that The New Yorker printed about a year ago. I may use it in my TEDWomen talk in December. It simply shows how many stereotypes there are out there for us, beginning from when we are little. Not just us women, but men, too. Why can’t liking trucks be just a liking-trucks thing? Why can’t girls like trucks, too? 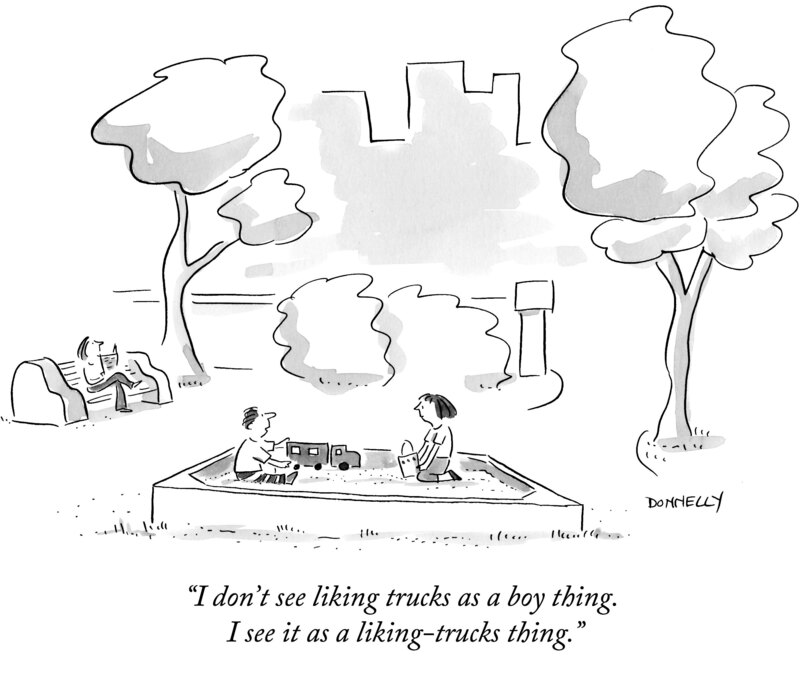 The underlying tone in my cartoon is that the boy sees it as a liking-trucks thing, and the girl is questioning it. In her youth, she doesn’t yet understand that what boys are interested in is what is mainstream. Liking dolls would never just be a liking-dolls thing! Or maybe it could be…. 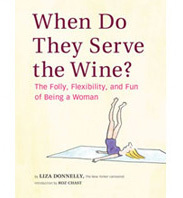 This entry was posted in Random but Relevant and tagged New Yorker, Stereotype, TEDWomen. Bookmark the permalink. Oh I love that cartoon too! It’s so true.